Solar Art installed perforated window film to an apartment complex in Los Angeles, California. 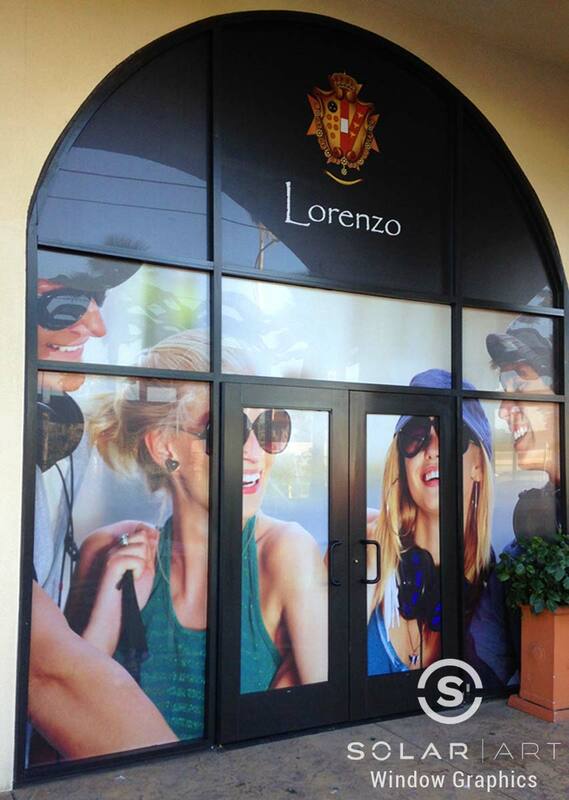 Lorenzo, the name of the apartment complex, is only student housing for the University of Southern California students. With that being said, they were looking for custom graphics that would draw in potential customers to their retail store in the complex. Not only were they looking for a way to draw in customers, they also wanted to fix the heat problem within the store. The heat from the afternoon sun would cause the store to get really hot and create a glare that was uncomfortable for both employees and customers. They worked with our in house graphics team to create the perfect window graphic for them. 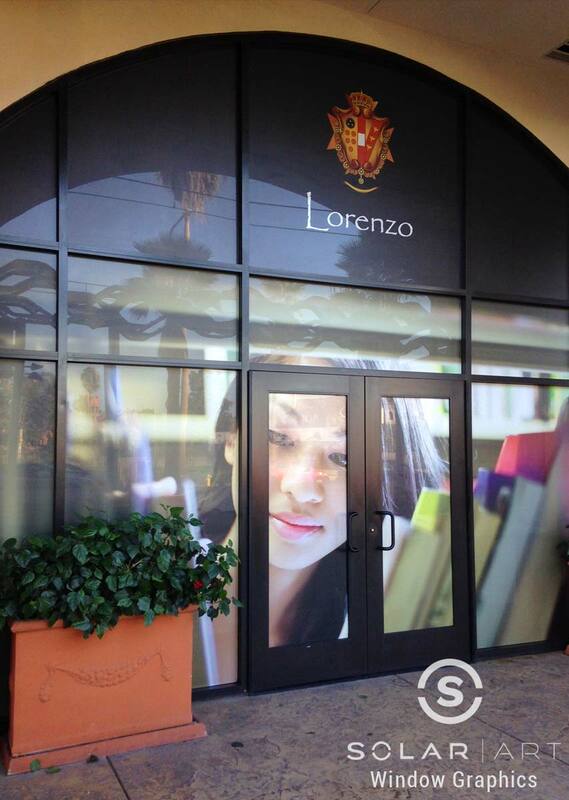 Lorenzo knew they wanted a window graphic but they also wanted the ability to see out of their windows. They decided to have Clearfocus perforated window film installed to the storefront. Perforated vinyl window film allows you the flexibility to print whatever image you would like on the window film. Perforated window film creates beautiful graphics from the exterior and still allows unobstructed views from the interior. You have the ability to choose the amount of visibility you want from the interior by the percentage of perforation to print coverage. The customer already knew the images they wanted printed on the window film and they also decided to have their custom logo installed as well. If you don’t know the photos you would like to use or what you want exactly, don’t worry, our graphics team will help you every step of the way! Perforated window film will reduce heat and reduce glare in their store while blocking 99% of UVA and UVB rays. Perforated vinyl window film can easily be removed with no damage to the glass. The customer was very happy with the installation because not only did the perforated window film drive in new customers, it made the store much cooler in the afternoon and greatly helped with the glare issue. In addition to custom graphics, Solar Art also installs solar film, decorative window film, security window film and anti graffiti film. Window film can be applied to both residential and commercial settings. Interested in Perforated Window Film? Contact us directly to talk about perforated window film! Perforated window film allows you to create a beautiful graphic from the exterior while not obstructing views from the interior. Perforated window film will increase privacy and reduce heat and glare. Contact Solar Art to learn more!